Many people avoid getting dentures due to how long it takes to receive them. That is no longer an issue now that same day dentures are offered by Dr. Vickii Bingham-Lester at Bingham-Lester Dentistry in Gambrills MD. Complete Dentures- This type would be replacing all your teeth. In the past, you would have had all your teeth removed and then wait until healing was complete before receiving the new teeth. This process typically took 8 to 12 weeks. With same day dentures, the dentures are made in advance and they are placed immediately after tooth extraction. Partial Dentures- These are used when not all the natural teeth need to be extracted and they act as a bridge. Dr. Bingham-Lester has found many benefits to same day dentures for her Gambrills area patients. The first is being able to leave the dental office immediately with teeth and never having to be without them. Another major benefit is when dentures are placed right after extraction, they help speed healing by protecting the tissue. Same day dentures also allow you to practice speaking clearly early in the process while healing is ongoing. Getting dentures in Gambrills does not have to be a long process. 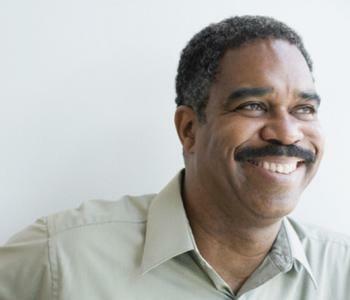 With same day dentures, Dr. Bingham-Lester can restore your beautiful smile in just one day. If you would like to schedule an appointment to see if same day dentures are a good option for you, come by our office or call 410-885-6522 today!